 The head of the regime's justice in Kohgiluyeh and Boyer Ahmad province, the criminal mullah Mazarei, announced that six defendants affiliated to the PMOI were "sentenced to imprisonment and exile from 8 to 18 years” on the charge of writing slogans, blasphemy (against supreme leader) and burning "propaganda banners with the images of national and religious figures". (ISNA News Agency - October 17, 2018). According to him, "the enemies of the state ... used to take photos and videos of the sabotage acts and send them to their leaders after committing the crime." "The arrest of these people is one of the special providences of God and the Highness Vali- Asr [twelfth Imam of Shiites] to this system," said Mazarei idiotically. He also said in a ridiculous and hollow gesture: "The judiciary and the general bureau of intelligence of the province managed to have access to the photos and videos sent by this opponent group, and arrested them in a surprise operation through monitoring, spreading intelligence umbrella, and the application of technical techniques”! The fact is that these arrests occurred in last June. By “writing slogans” and burning “the images of national and religious figures”, he means writing “Death to Khamenei- Hail to Rajavi” and “burning the hideous images of Khomeini and Khamenei”. Furthermore, there have been many more similar arrests, now acknowledged by the regime, that the Iranian Resistance has already reported with details to the international human rights organizations. By issuing criminal verdicts to create fear and intimidation, the mullahs’ regime attempts desperately to confront the growing spread of opposition to religious fascism and popular uprisings and to frighten the youth in Gachsaran and Yasuj in particular. The Iranian Resistance calls on international human rights authorities and organizations to take action against arbitrary arrests and medieval trials of the dictatorial regime, and the release of political prisoners, especially those arrested during the uprising. This is the regime that has already been condemned by 64 United Nations resolutions for human rights abuses, cruel trials, and torture and inhumane treatment of prisoners.